A new interface that feels fresh and familiar at the same time, along with many new features, creates a new connection between the software and the user. 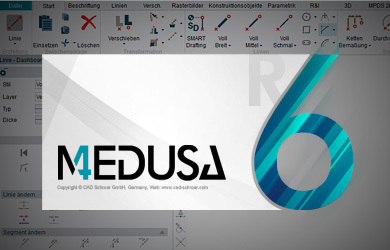 Cambridge, UK and Pittsford, NY – 02 June 2015: MEDUSA4 R6 combines a modern design, new features and more customization options, making the software program a completely new CAD experience. 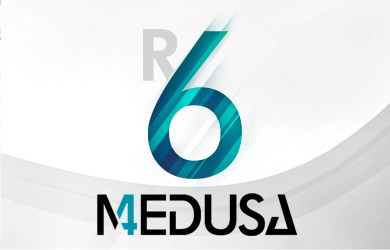 Improved features in MEDUSA4 R6 create a new connection between the software and the user. The MEDUSA4 R6 project began several years ago. In preparing for the project, CAD Schroer spent a great deal of time analyzing the technical trends in the CAD field. In addition, it carefully reviewed customer feedback from the last few years. The objectives were clear: to make the best parts of MEDUSA4 even better, and to package them in a modern, user-friendly interface. All of the main features are found on a ribbon menu, which is not only simple and clearly organized, but also very easy to use. The program’s Dashboard was and still is one of its enormous advantages, so it was further developed in MEDUSA4 R6 and is now one of the central operating elements. It contains all of the context-relevant information and features, responds to the task at hand, and displays everything you need to solve the task. The Symbol Manager has also been completely overhauled. It now offers a complete overview of all the symbols, and filters them according to which items have been selected. In the new version, the 2D tools that you use every day have been improved with high-performance features. With these tools, MEDUSA4 R6 offers new ways to make your everyday work more effective. For the first time, you can set Favorites, and you can now also place QR codes in a drawing. The new Symbol Manager makes it much more convenient to handle P&ID catalogues. The new version also comes with an update of the DIN EN ISO 10628 catalogue. It is now even easier to try out MEDUSA4 R6. Anyone can experience the new generation of this CAD software for themselves, and get an overview of the many new features in MEDUSA4 R6. 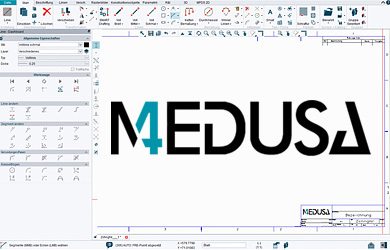 The new MEDUSA4 R6 is not just an update – it is a completely optimized, improved version of the CAD software already being used around the world. With the latest generation of its software, CAD Schroer is setting clear standards and investing in the future of its customers.